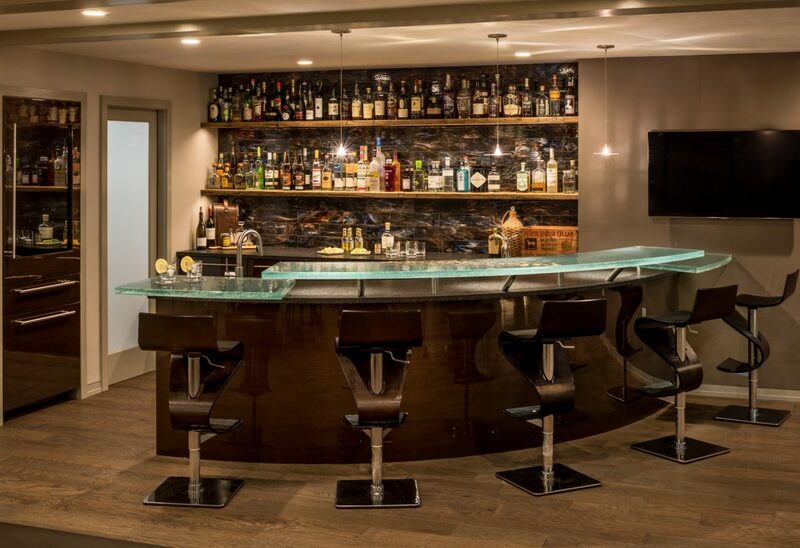 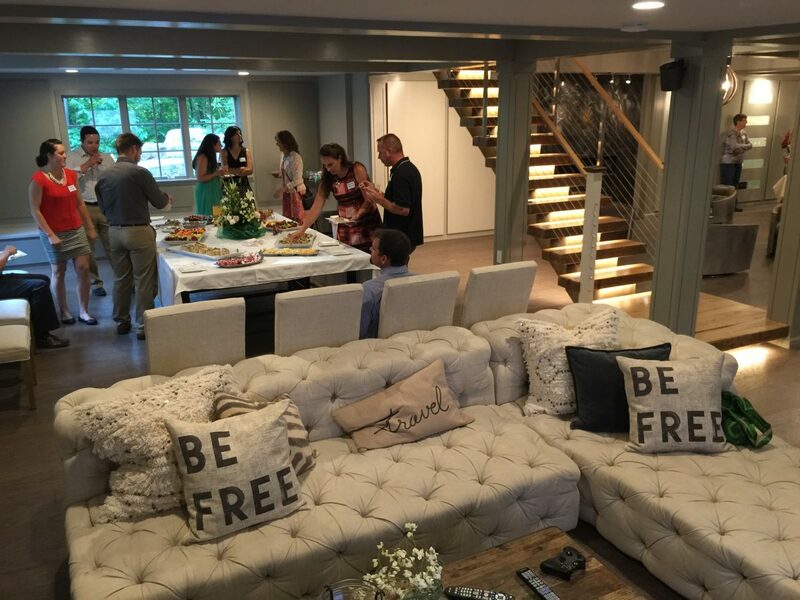 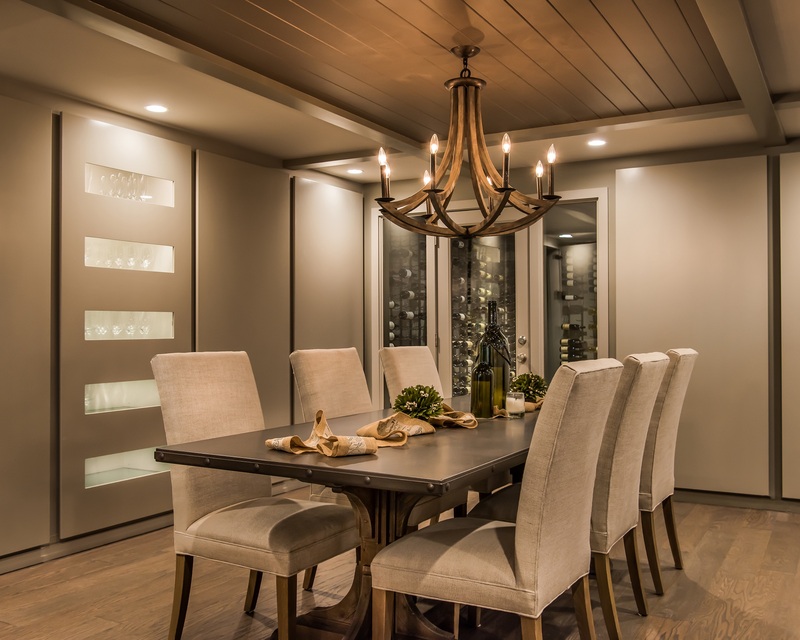 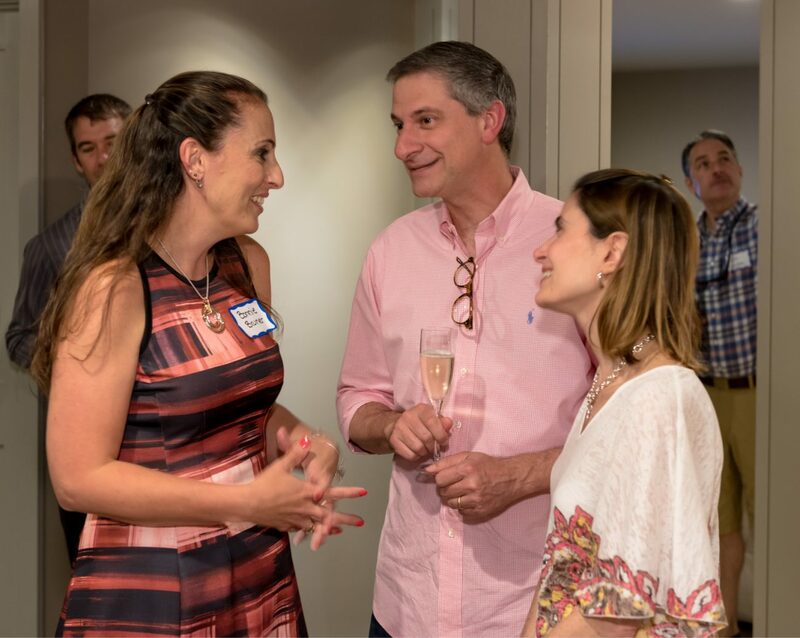 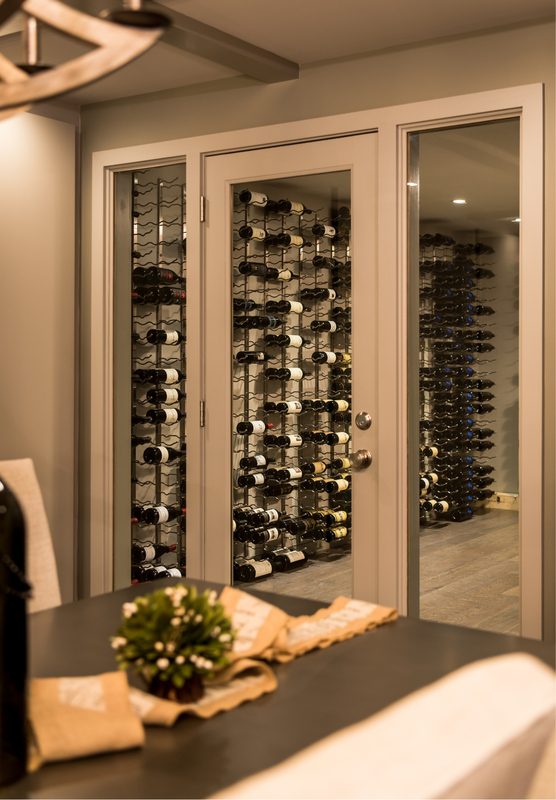 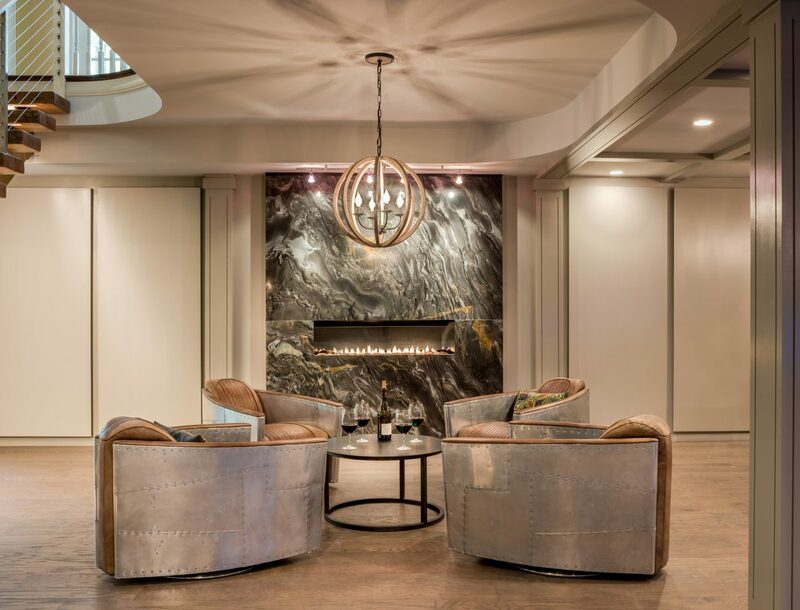 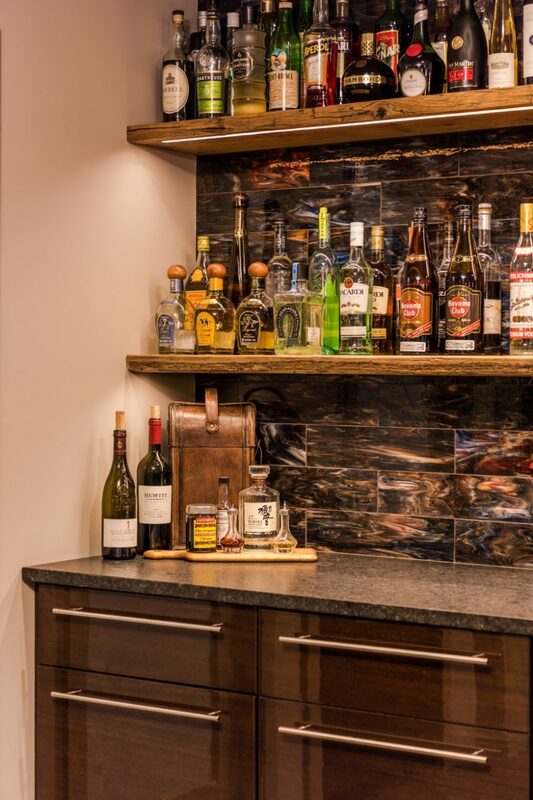 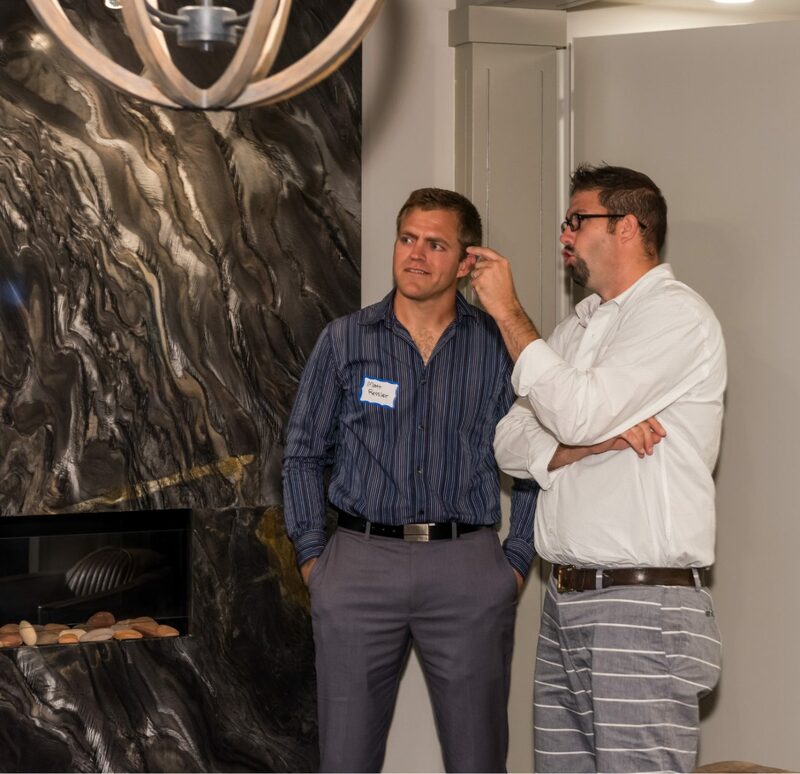 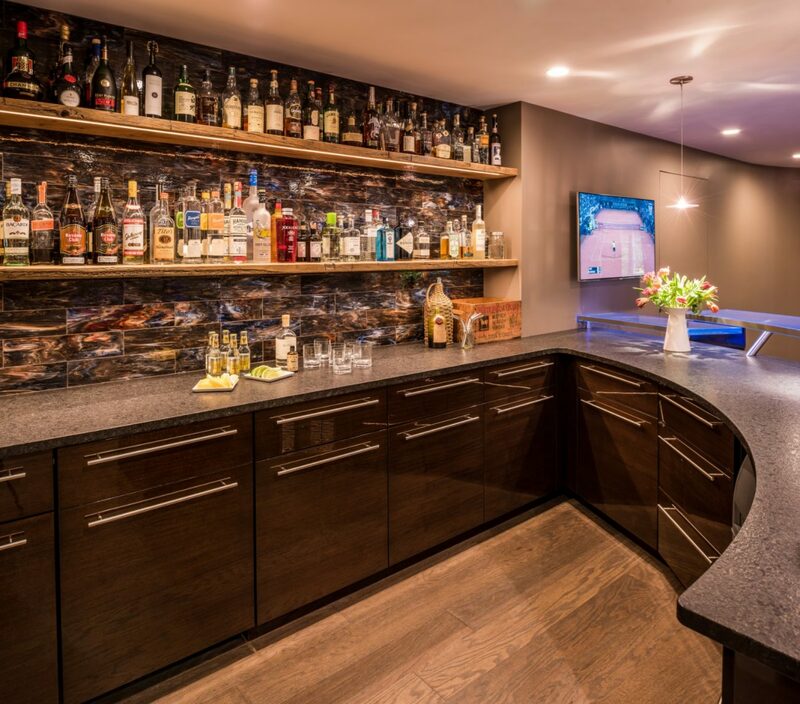 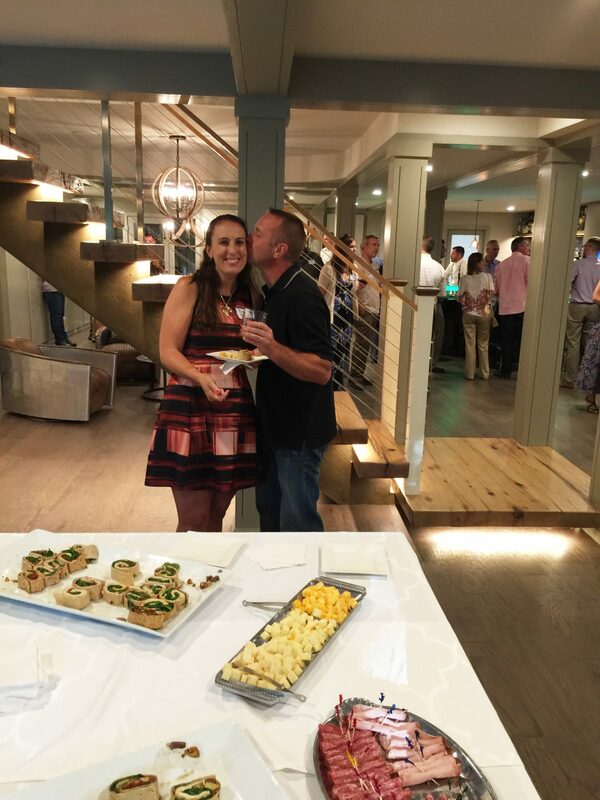 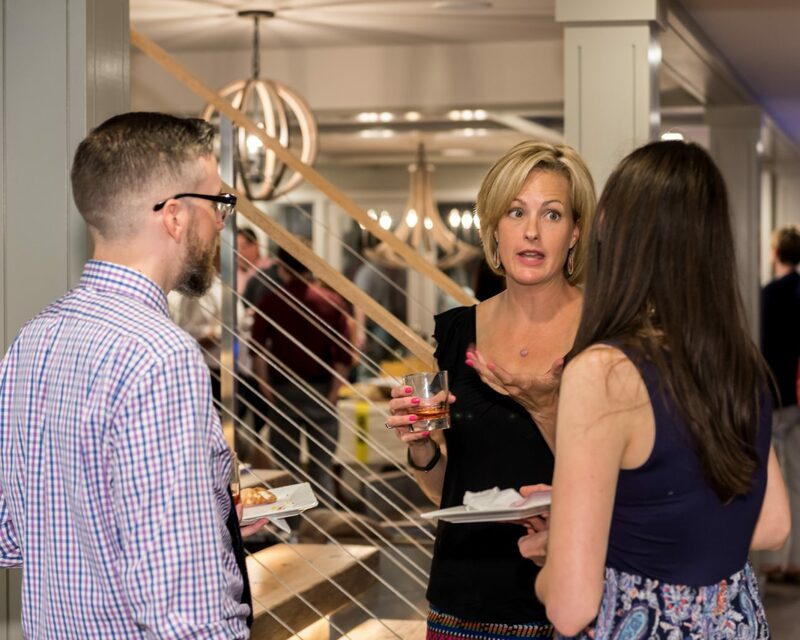 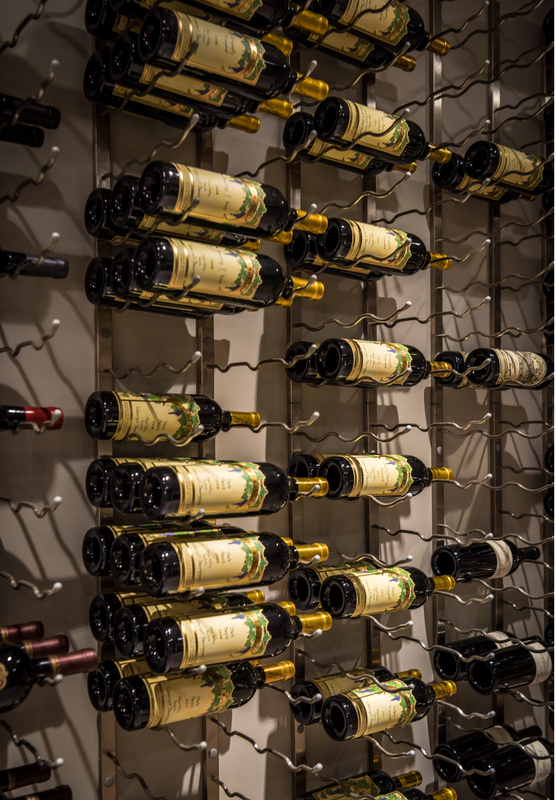 For the basement bar they envisioned, with comfortable gathering spaces and ample wine storage, we collaborated with the homeowner on all aspects of the design. 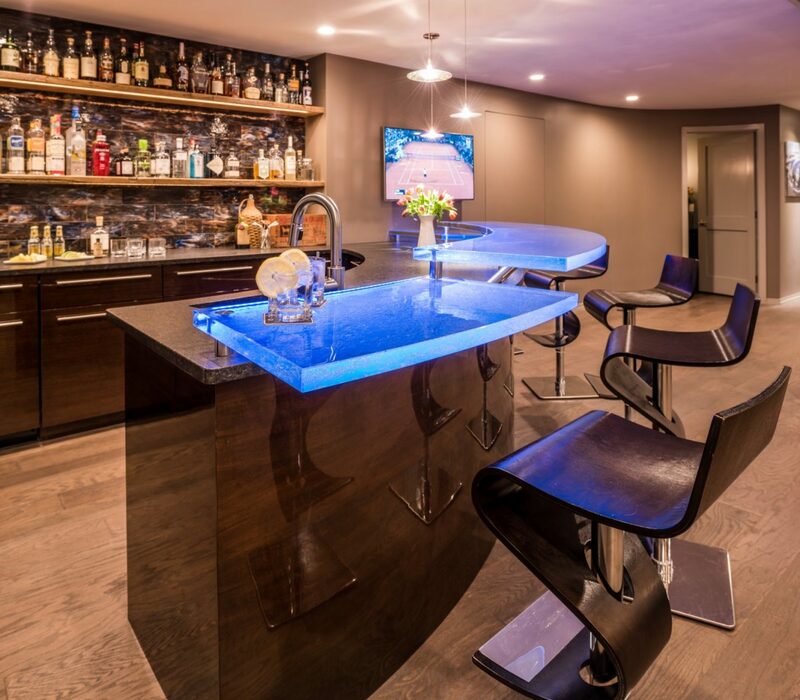 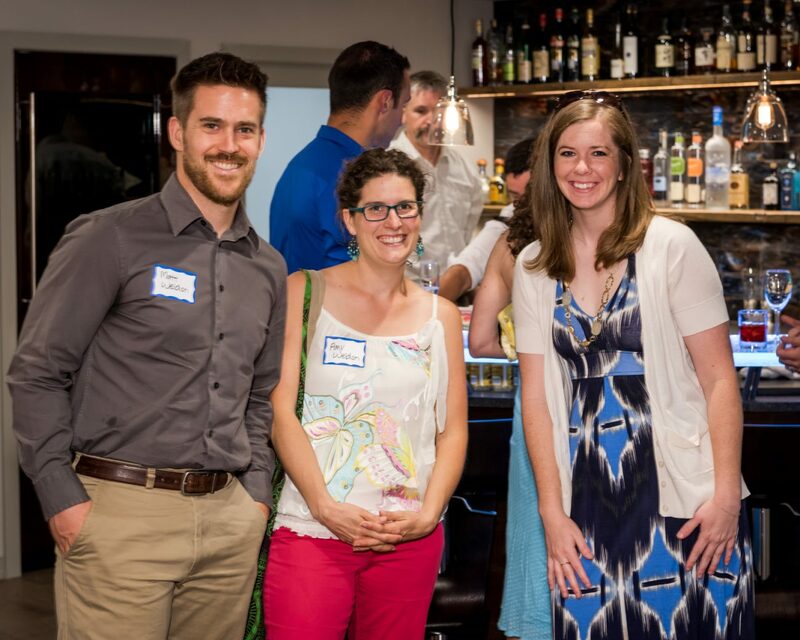 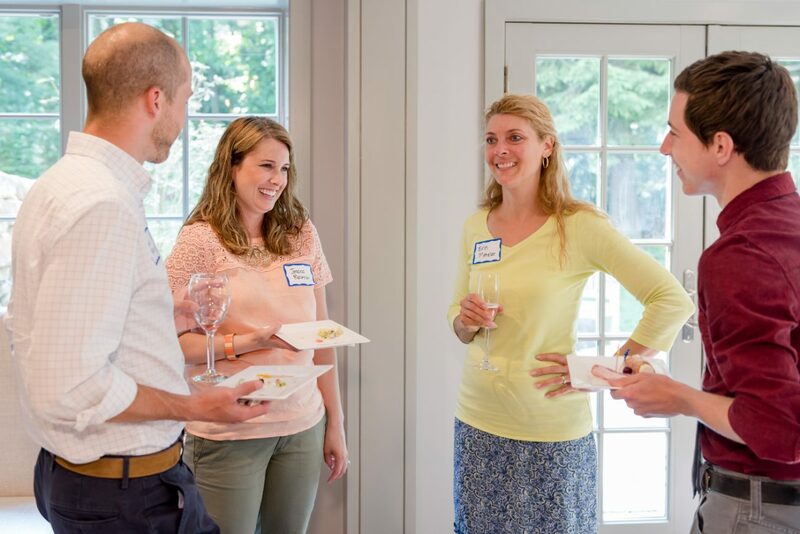 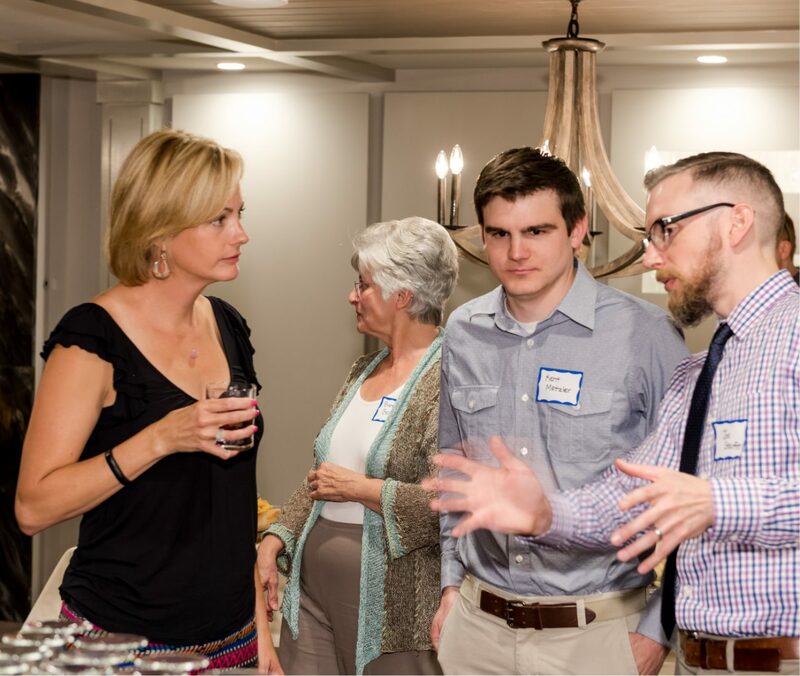 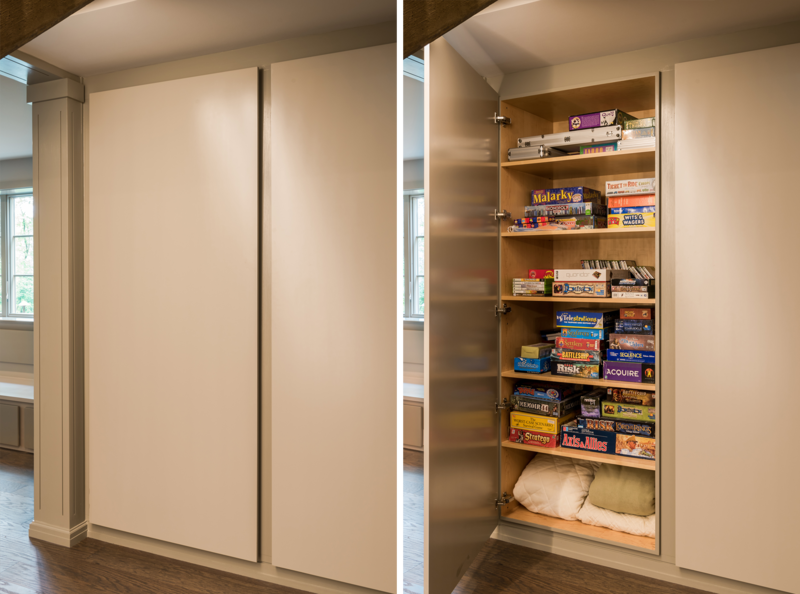 They now admit, it is their favorite place to entertain guests or relax with family. 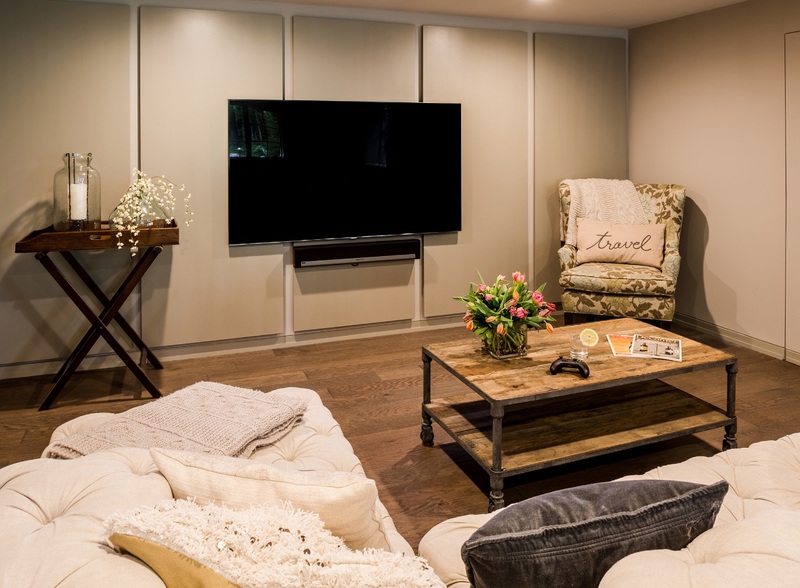 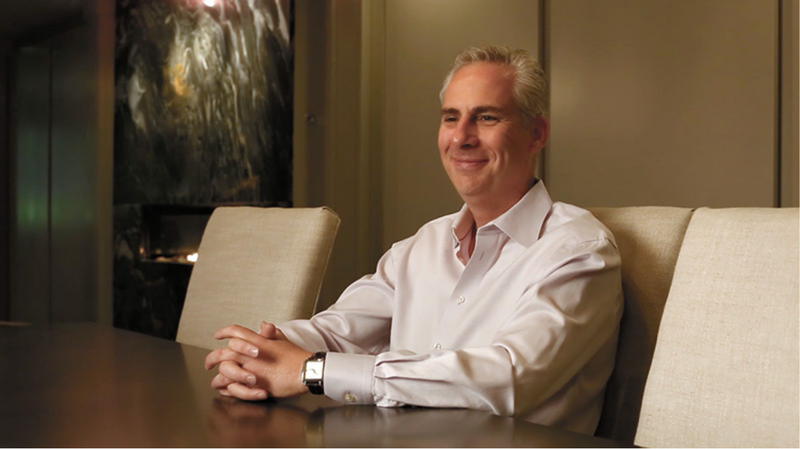 This family’s sophisticated style was translated into a stunning room for entertaining. 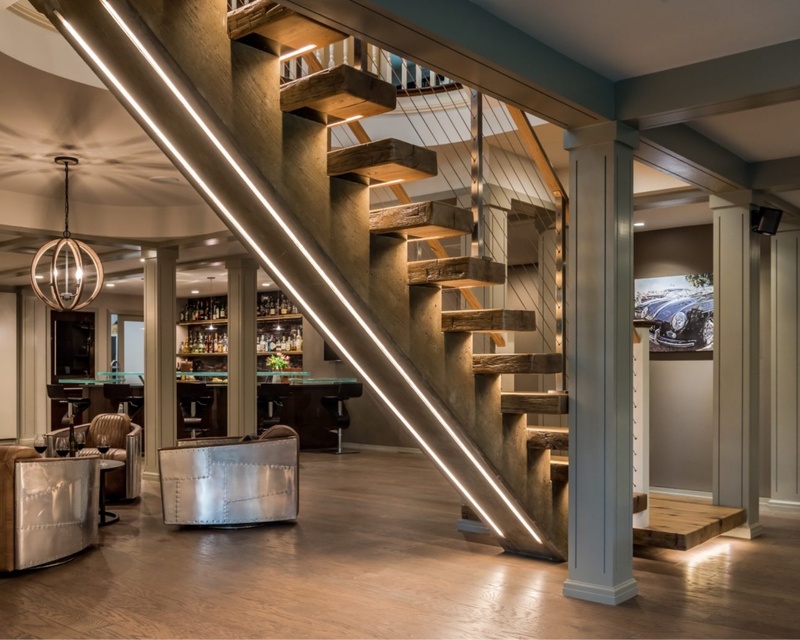 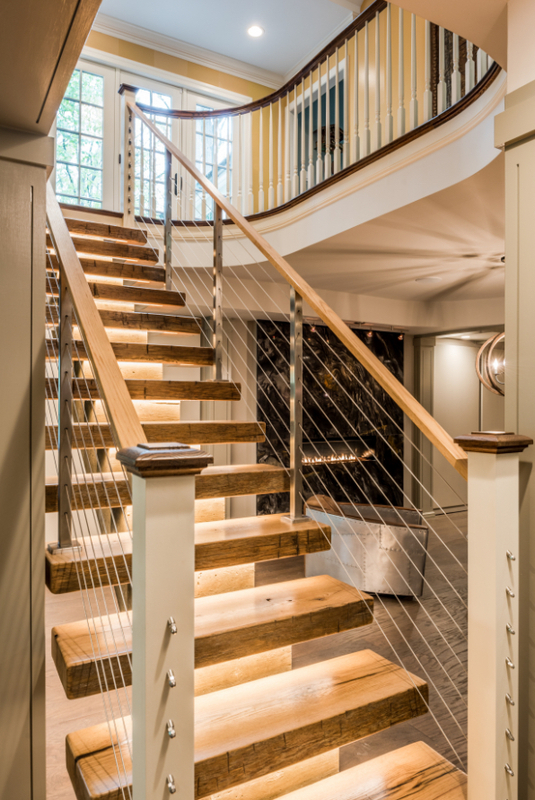 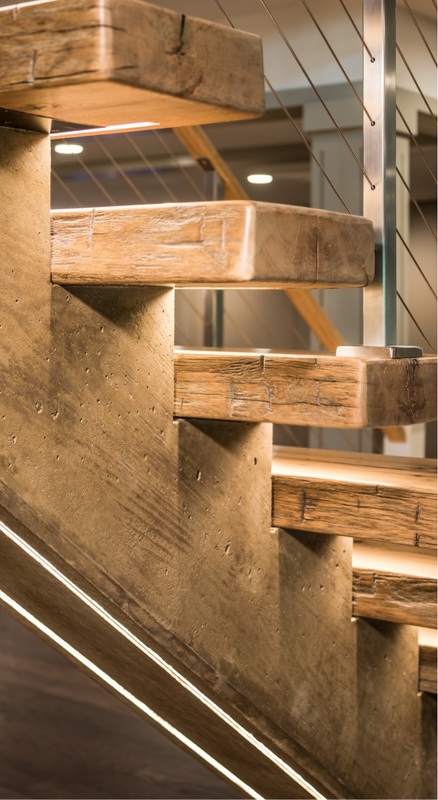 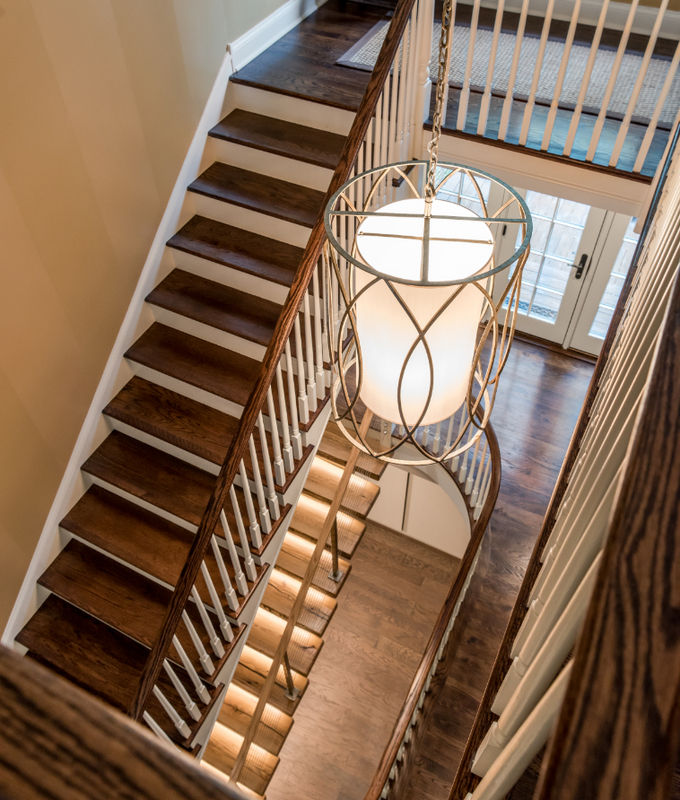 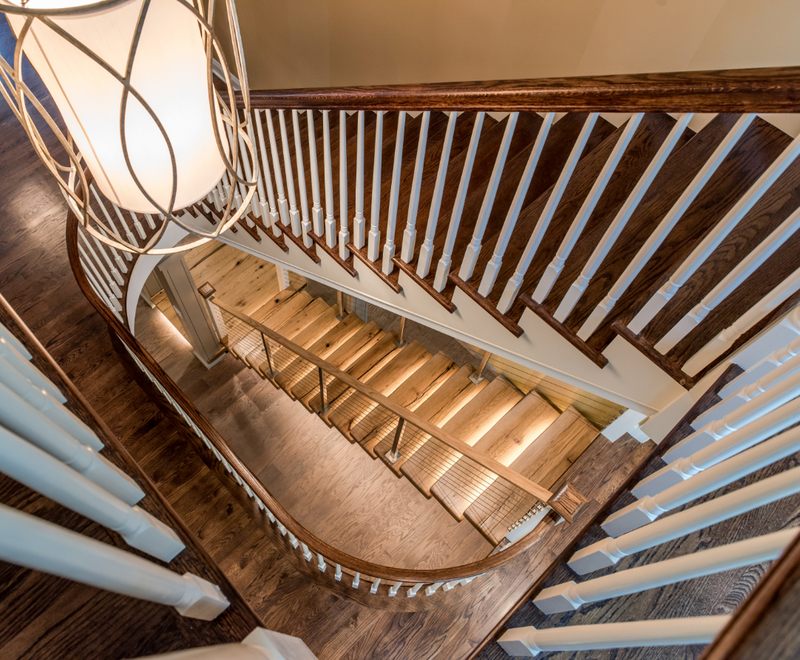 Lights were added under the reclaimed wood treads for a stunning look, and sure to be noticed are the lights behind the stairs. 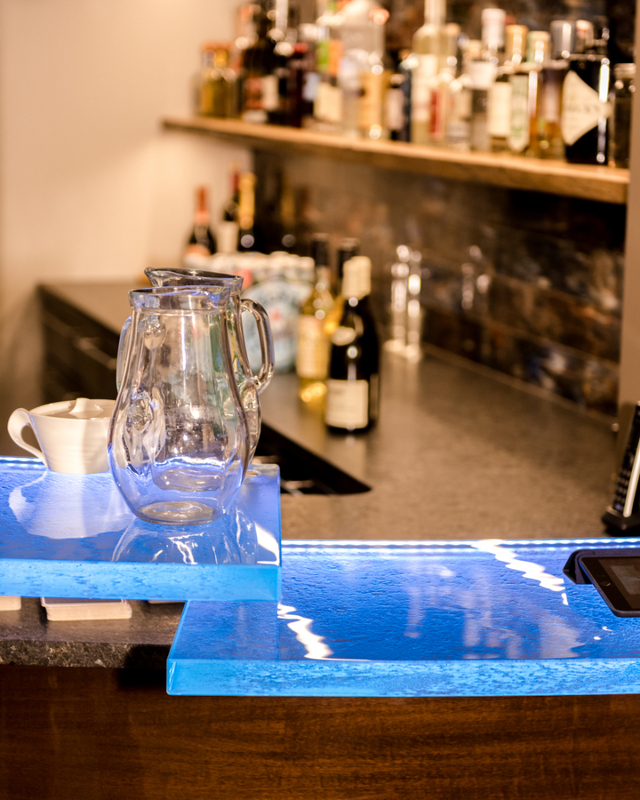 The bar is made from Thinkglass. 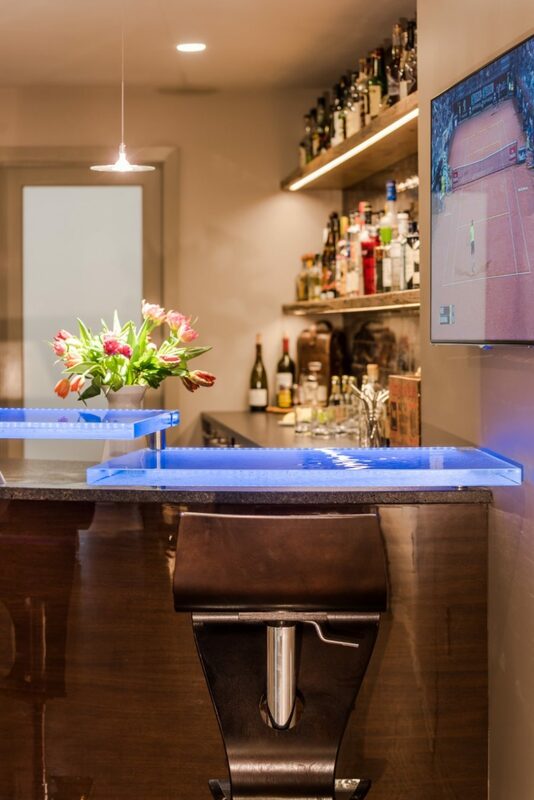 We installed LED lighting to create a unique bar lighting.